Get to know the Raspberry Pi Foundation @Raspberry_Pi #piday #raspberrypi « Adafruit Industries – Makers, hackers, artists, designers and engineers! Take an up close and personal look at the Raspberry Pi Foundation. 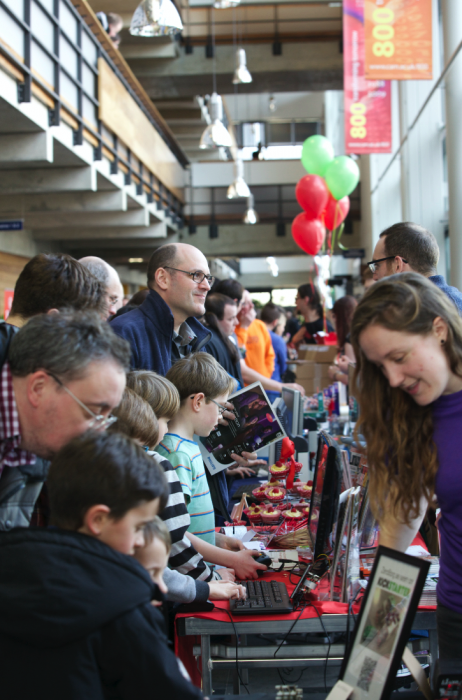 One of the best things about the Raspberry Pi Foundation is our awesome community. Anything we achieve is only possible because of the growing movement of makers, educators, programmers, volunteers and young people all over the world who share our mission. We work really hard to celebrate that community on this blog, across social media, in our magazine, and pretty much every other opportunity we get.